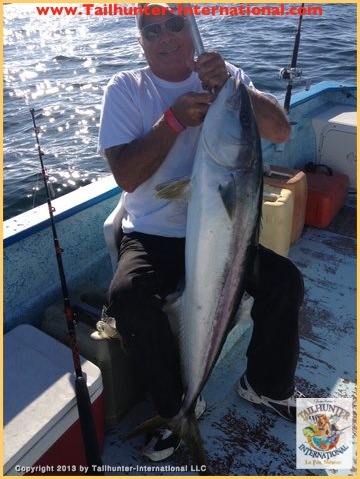 Big yellowtail in the 30-pound class again provided super action all week for our anglers including John Cavellini who fished with Captain Victor near Cerralvo Island and shows off his first-ever forkie yellowtail! Rack of fat yellowtail headed for the fillet knife and the freezer. Racks like this were not uncommon catches this week. WARM WEATHER LOW WINDS MAKE FOR SOLID YELLOWTAIL BITE AGAIN! 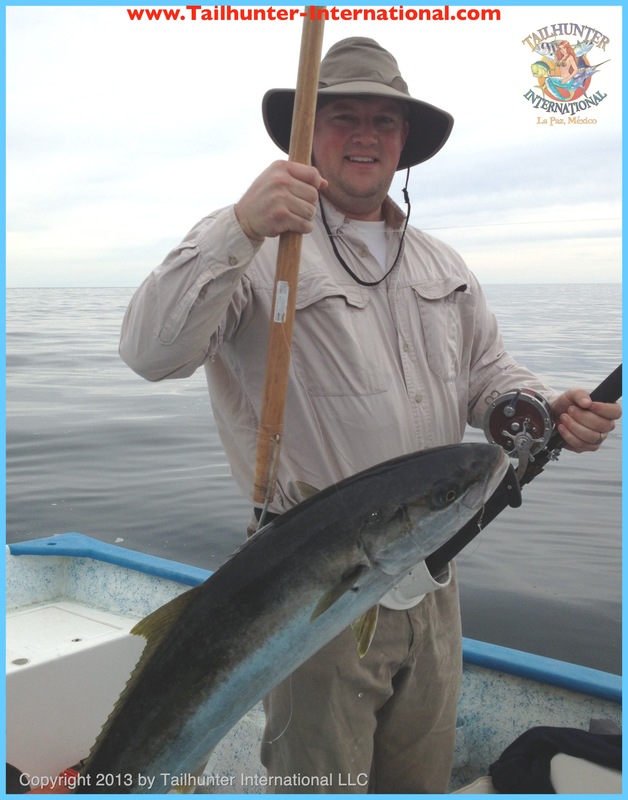 It was another very good week for weather with temperatures surprisingly warm for spring in the mid to high 80’s and winds giving us a break which meant good conditions for more yellowtail which did not disappoint. Again, fishing around Cerralvo Island, especially the north and east sides of the island, as one angler put it, “There’s so much mackerel in the water, the waters are thick with them!” This is like candy in the water for yellowtail and sure enough we averaged 2-6 big yellowtail up to about 35 pounds this week…a real healthy grade of fish. Quite a few others were lost. The fish were eating live mackerel as well as casted iron in blue and white as well as scrambled-egg patterns on the fast retrieve. Slow trolled yo-zuri magnums were also effective and similarly produced some pargo and cabrilla in the same areas. 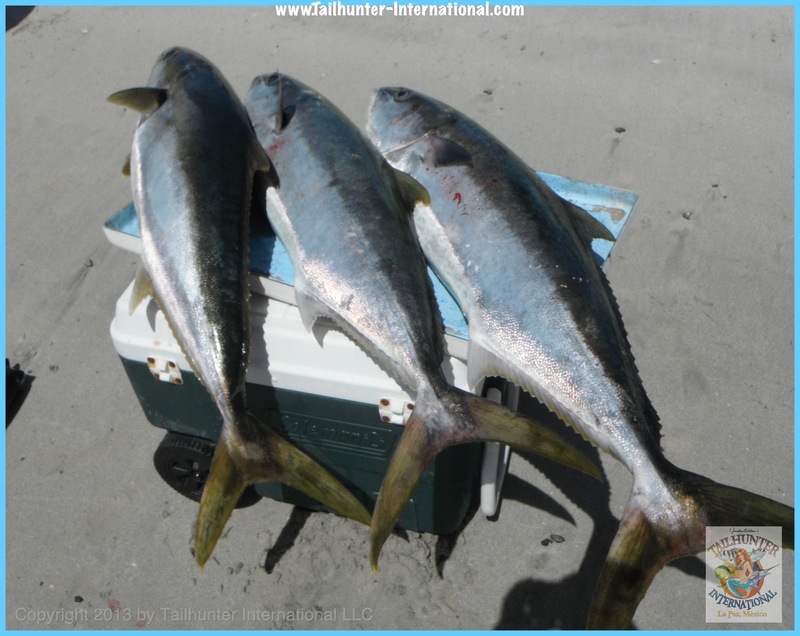 We also had (sorry I don’t have a photo), but a wahoo exceeding 100 pound was also taken in the middle of the yellowtail bites when the big fish was seen free-swimming next to one of the pangas and the quickly tied on some wire with a hooked mackerel and pitched it at the lazy wahoo. The big wahoo took the bait and fish on! Hopefully, I’ll get a photo of it for next time! Conditions seemed to be clearing all over which is a great sign. 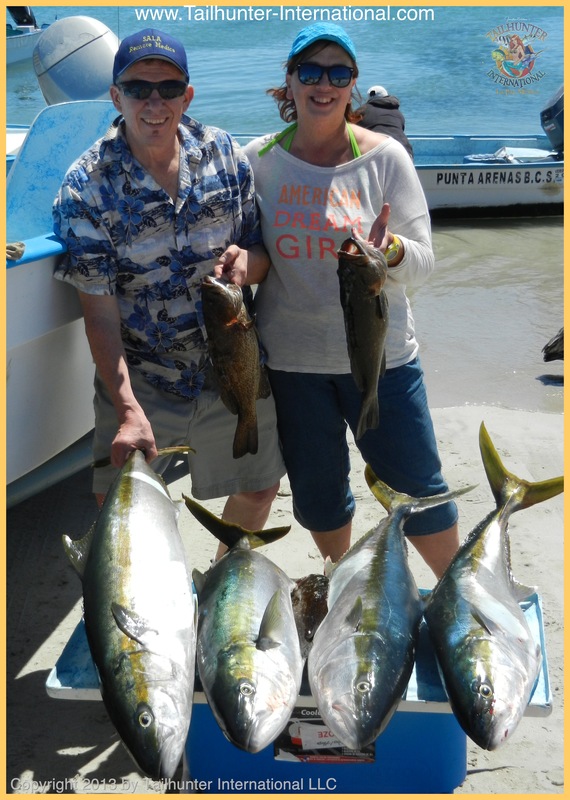 My captains scouting north of La Paz tell me the green cooler waters are getting better and yellowtail started to rise around El Bajo Seamount! In addition, we also got some pargo, cabrilla and sierra close to shore! After 3 months on the road and about 15,000 miles of driving, we’re finally coming home! We’ve had a grand grand time! We kicked it off in early January and drove from San Diego to the ISE show in Sacramento…then cross the plains and Rockies to Denver…Seattle (Puyallup)…Portland…Yakima…Phoenix…Boise…Long Beach…Salt Lake City…San Diego! Wow! Ten shows in 11 weeks! We’ve criss-crossed the western U.S. up and down and back and forth at the biggest and best fishing and hunting shows around and talked to so many great folks and seen so much of this great country. The best part was all the laughs, smiles and hospitality of so many of our old amigos and new amigos to be and talking about all the great fishing in La Paz. It’s also great to see and share the road and shows with all our friends in the industry…many of whom we only get to see once a year. We’ve had a blast and we want to say a big MUCHAS GRACIAS to everyone and GRACIAS A DIOS for keeping us safe on the roads and to God bless you all for a great year and season. TAILHUNTER folks are the best! 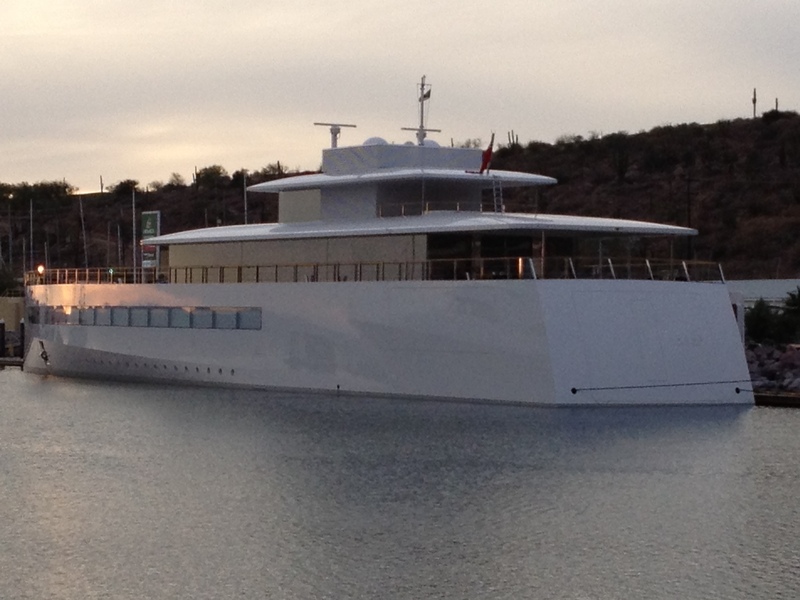 Now..back to La Paz and let’s go fishing! 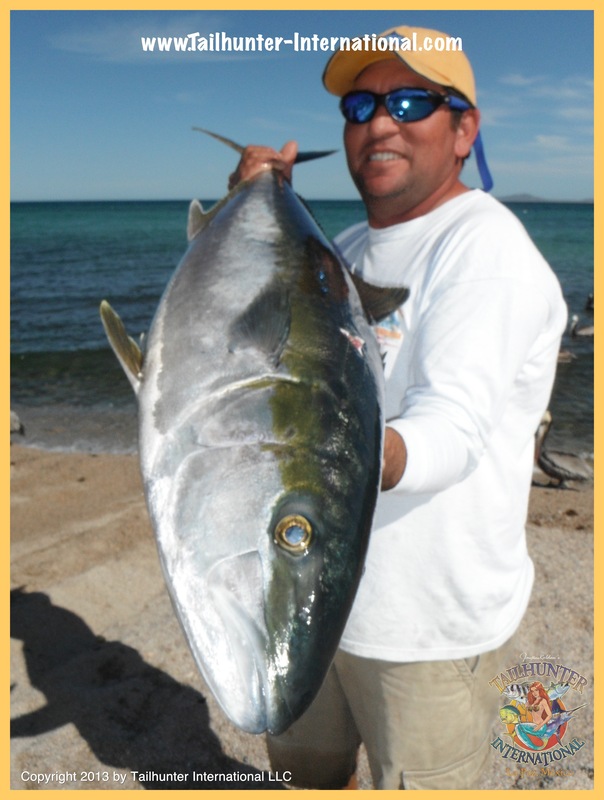 Once the winter winds back off, the big fish bit back hard with big fat yellowtail like this one stuck on iron off Cerralvo Island. The only thing is that the winds took their sweet time to back down and we didn’t get into fish until late in the week. Another fish hung on the blue and whit iron! 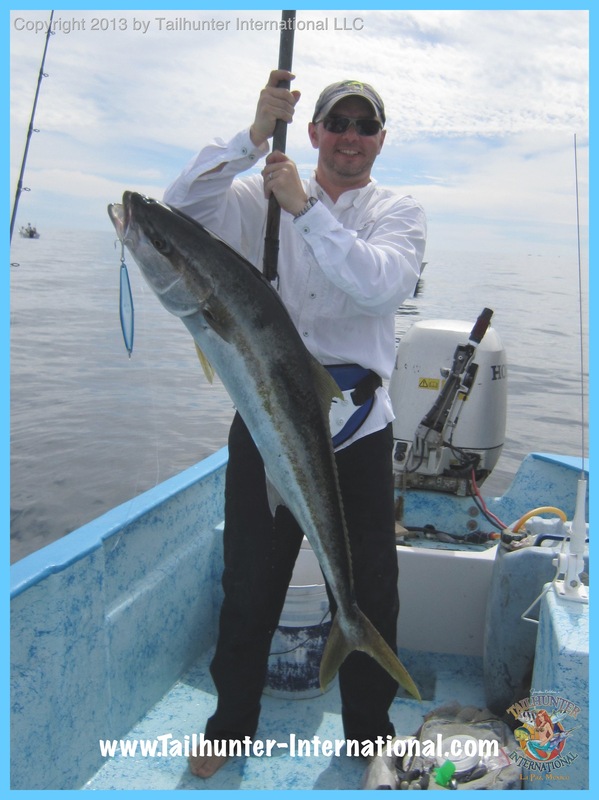 Take a look at the quality of this 40 pound class yellowtail that Brian O’Neil hung fishing a long week with us with our Las Arenas Fleet. Brian is from Atlanta GA. 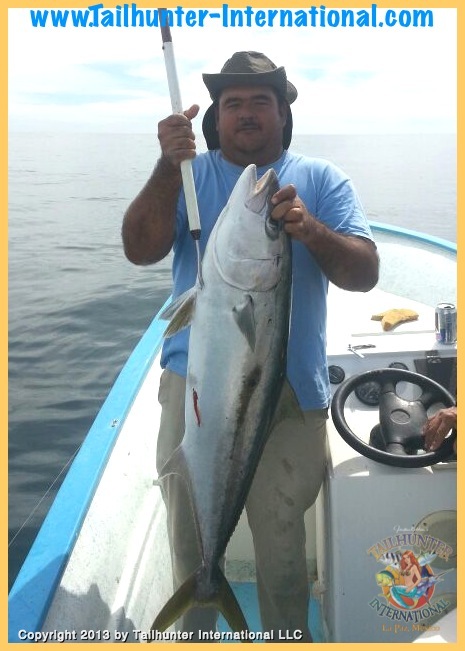 The client didn’t want their photo taken so Captain Gerardo of our Las Arenas fleet took the pose with another fat forktail taken off the island. Thanks for the great time and great show, Boise! One of our best shows of the season! 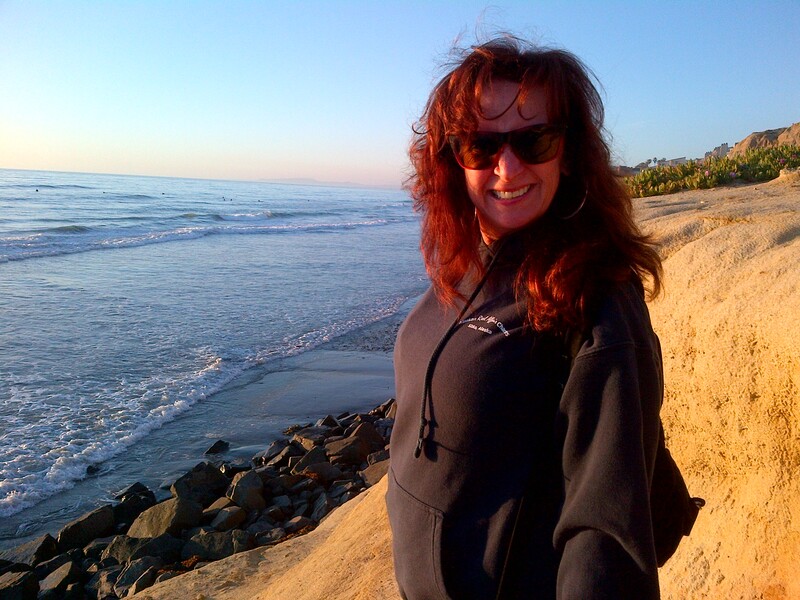 And now…here we come, LONG BEACH FRED HALL SHOW! This is the grand daddy of shows! It’s one of the largest on the west coast and kicks it off Wednesday to Sunday at the Long Beach Convention Center! WINDS BLOW AND KEEP US OFF THE WATER UNTIL LATE IN WEEK! Compared to the previous week, this past week was a complete disappointment for the most part. A week ago the winds gave us a break and laid down and the yellowtail went on a major feed along with dorado, marlin and sailfish. Well, this past week, the winds were pretty unforgiving. It was like Mother Nature was making up for being nice to us or reminding us that this is still winter. So, she ripped us pretty much all week! But…on the good side, we didn’t have many fishermen either, so let the wind blow! No harm. No foul. However, as the weekend came up, the winds ran out’ve some of their steam and sure enough, it was enough of a window for the fish to come back up. 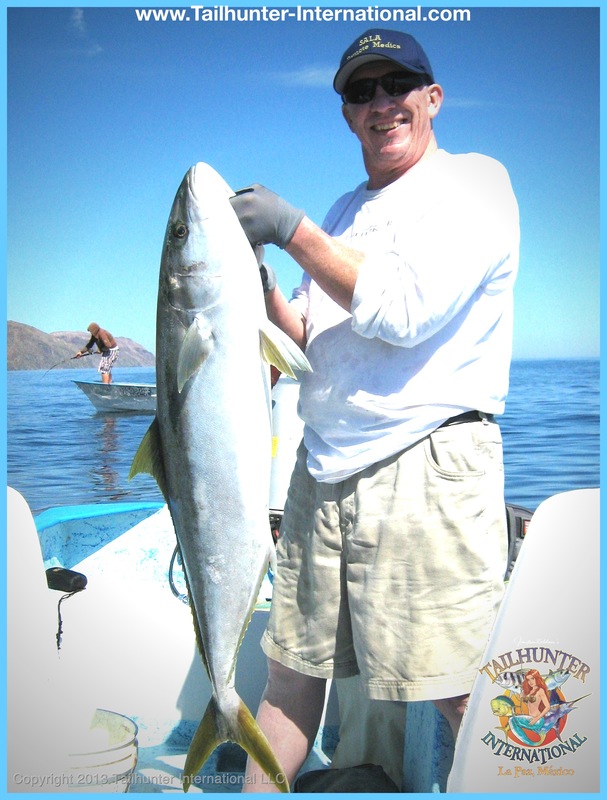 Yellowtail once, more came on the chew with fish in the 20-40 pound class around Cerralvo Island and south of Bahia de Los Muertos. 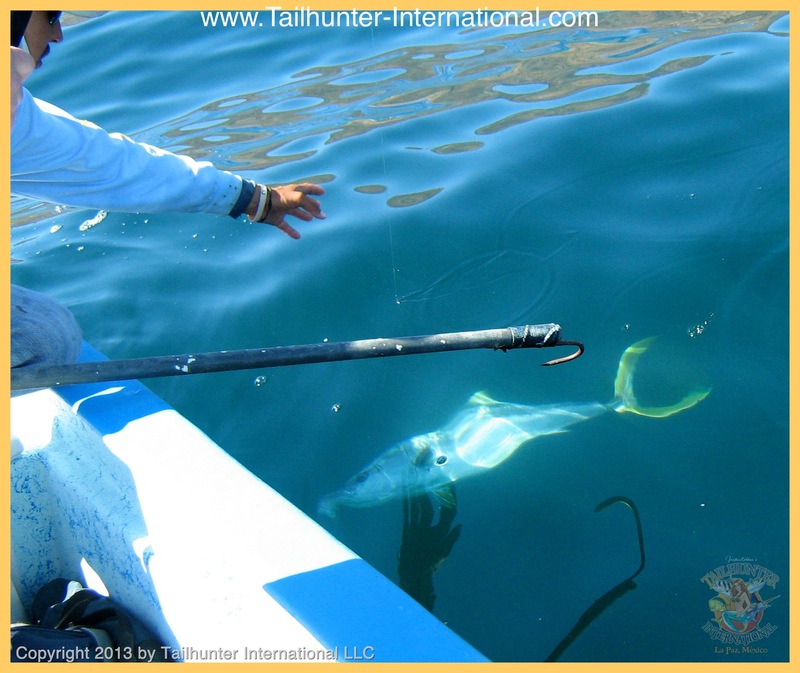 Our pangas averaged 4-8 yellowtail each in the boat with others lost to the rocks or inexperience. Additionally, there were cabrilla and smaller pargo taken as well. The fish were eating mackerel, sardines and willing to eat the yo-yo iron as well. 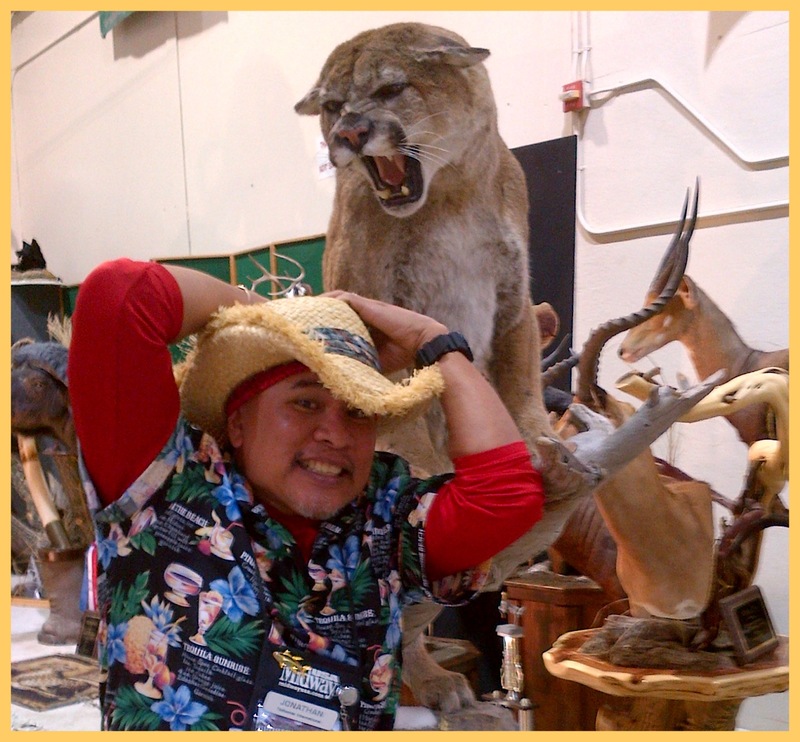 We just had one of the best shows of the 2013 tour season wrapping up our show at the Idaho Sportmans Show at the Idaho Fairgrounds in Boise! Great to see so many of our amigos and talk to all the new folks. We booked lots of trips for this year and excited about seeing everyone . Thanks to everyone who came by to say hi. Boise is one of our favorite stops along the way! Last call for our 13th Annual Cabin Fever Classic Event. 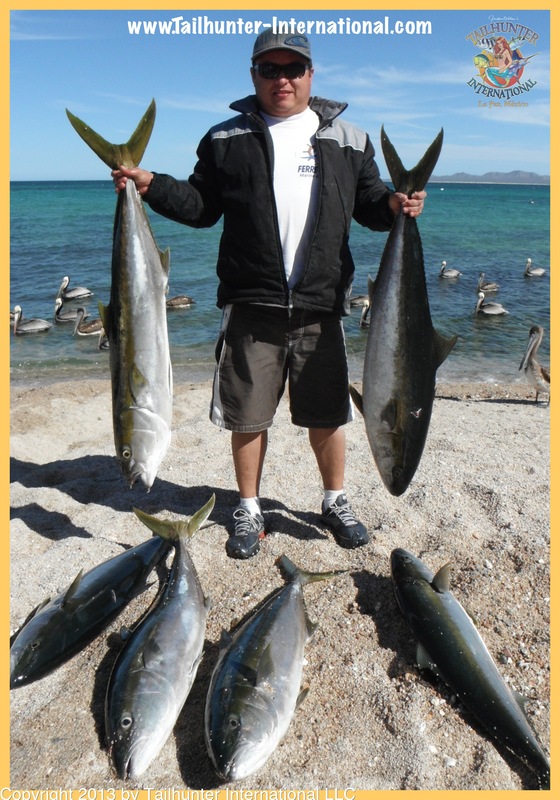 We’re gonna have it April 10-15th in La Paz and it’s the only personally escorted trip we do and it’s always great fun with super friends, great food…and even some fish! It’s 3 days of fishing and a day of snorkeling at the island plus lots of extras. 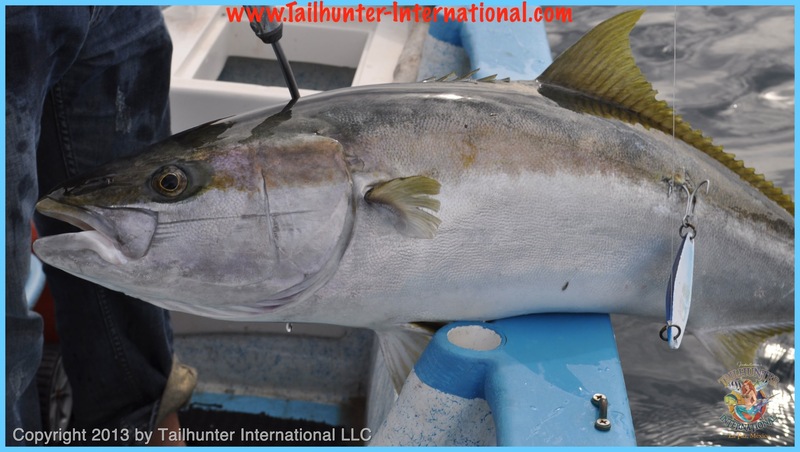 For more information, e-mail us at riplipboy@tailhunter-international.com. There’s just a few spots left! WE’RE HEADED TO LONG BEACH FOR THE BIG SHOW! 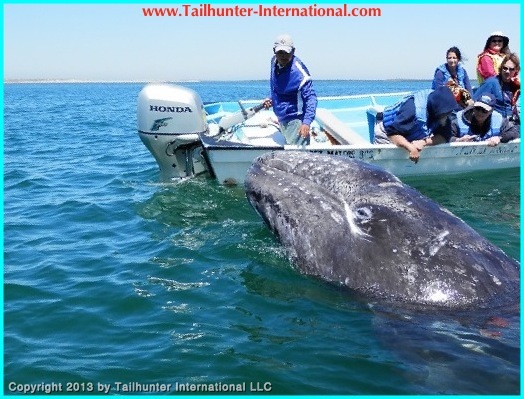 But now…the Tailhunter 2013 Road Tour heads to the BIG SHOW! 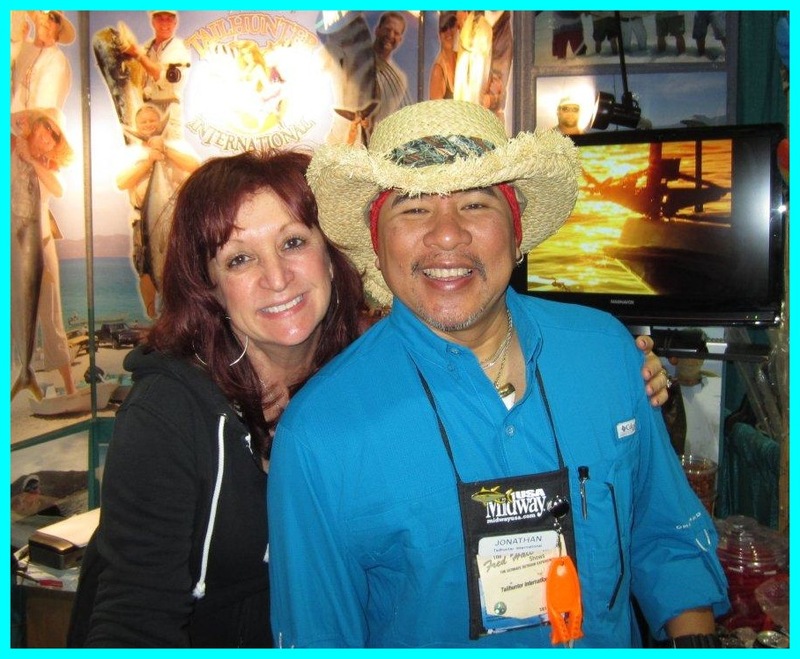 The Fred Hall Fishing and Boating Show at the Long Beach Convention Center. 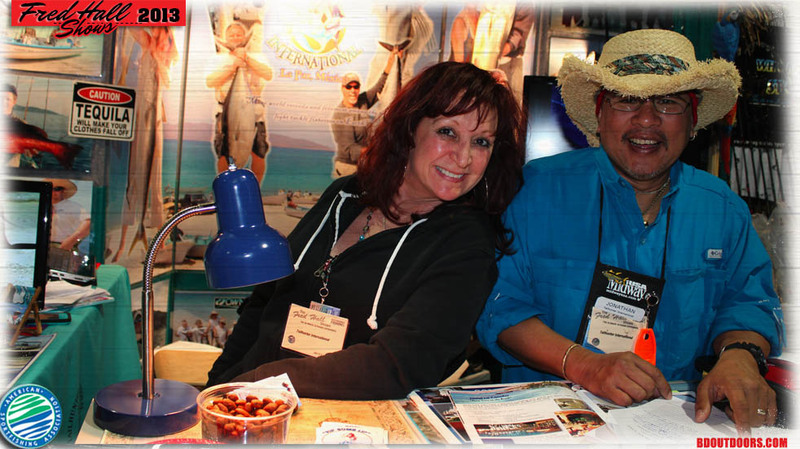 This is probably the biggest show on the west coast with hundreds of vendors…tons of fishing and outdoor gear…seminars by the best in the industry…boats…travel…hunting…vacations…FIVE MASSIVE DAYS of craziness! It starts Wednesday and goest to Sunday. 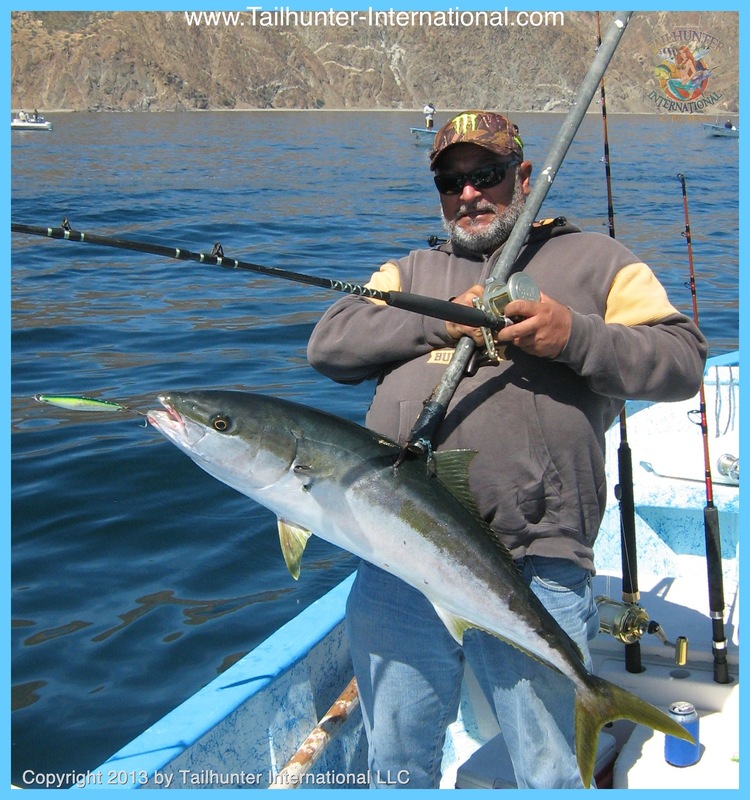 Comes see us and let’s talk about fishing in La Paz! 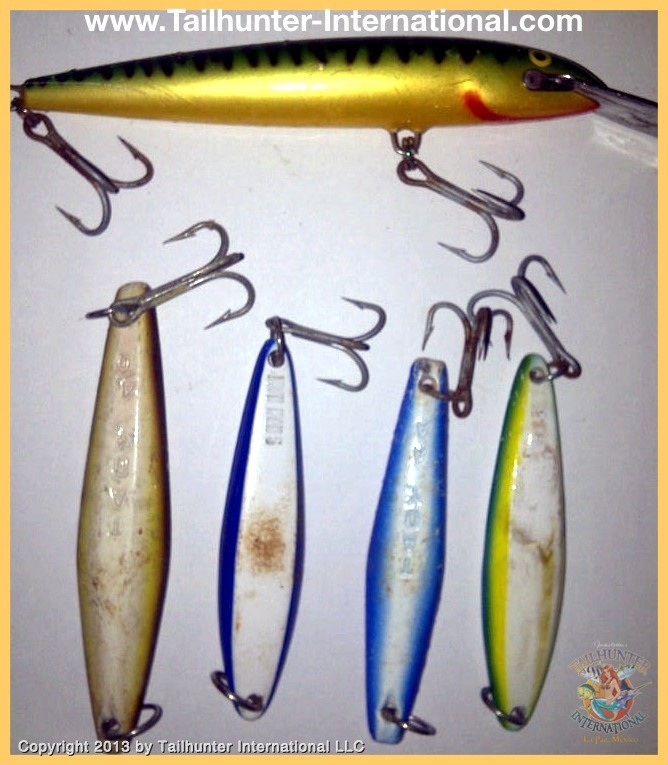 We’ll be in our booth in our usual spot next to Izorline and Whopper Stopper Rods on the main tackle row. See ya there!